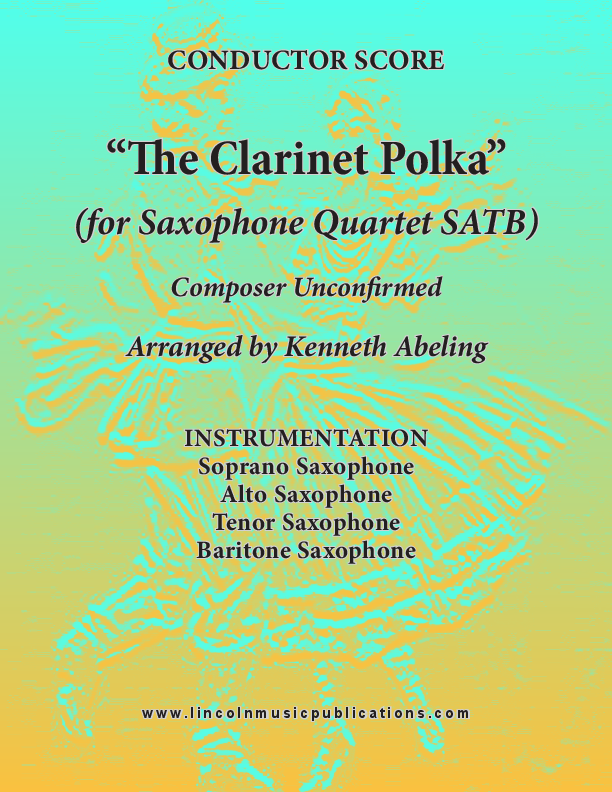 The ever recognizable and ever popular “Clarinet Polka” arranged for Saxophone Quartet. This arrangement is for more advanced ensembles but a good workout for intermediate to lesser-advanced ensembles as well. It is a must have for Oktoberfest and similar performance situations!